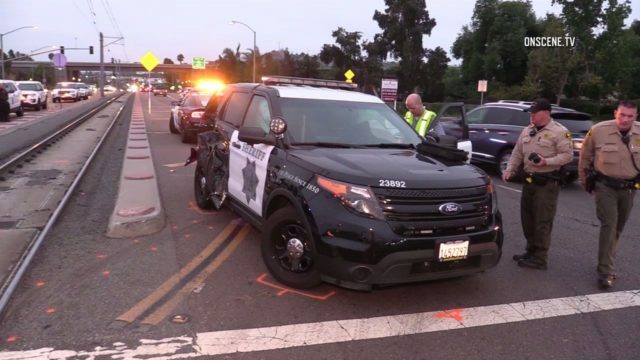 A sheriff’s SUV and a trolley collided in Santee Wednesday evening, according to reports. The crash took place at approximately 6:25 p.m. at Buena Vista Avenue and Cuyamaca Street. A deputy driving the sheriff’s patrol vehicle suffered minor injuries and was transported to a local hospital, according to an OnSceneTV reporter at the scene. The trolley’s Green Line service was delayed for approximately 30 minutes.